David Beckham has made a major step towards creating his professional soccer team in Miami, after the public voted to approve newly proposed development plans. The approval comes after a five-year journey for the former soccer player, who unveiled plans to bring a team to Miami in 2013, the same year that he retired from the profession. After a number of rejected planning applications, failed deals and resistance from locals, Beckham along with partners Marcelo Claure and Jorge and Jose Mas, settled on plans to develop the project on Miami’s Melreese golf course. The venture would need voter approval to skip a public bidding process and negotiate a no-bid lease for the development, which the group named Miami Freedom Park. The vote invited the public to decide whether city officials could negotiate a no-bid lease deal for Beckham's soccer stadium for the city. The ownership group now has permission to negotiate a lease of city land next to Miami International Airport. Plans for the site outline a 29.5-hectare redevelopment that would include a 25,000-seat stadium, up to 750-guest rooms spread across a number of hotels and 93,000sq m of office, retail and commercial space. Owners also agreed to fund a 24-hectare public park next to the complex. 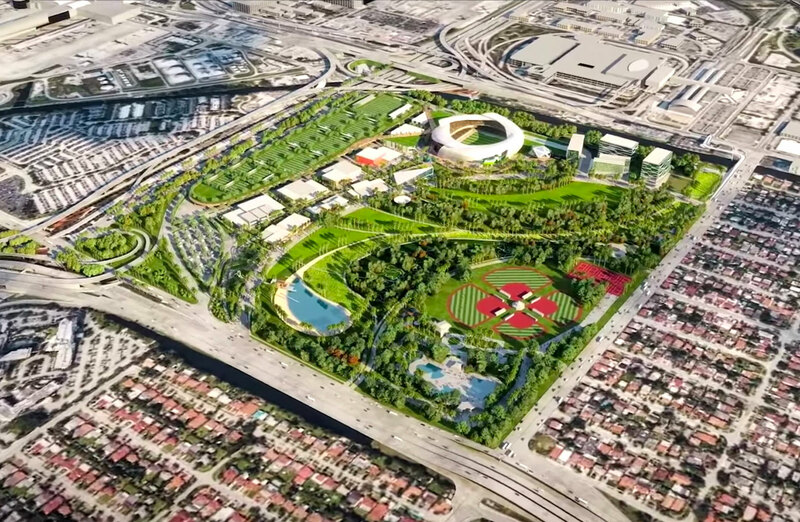 “We’re going to get a 24-hectare park, 9-hectares of soccer fields and an MLS team headed by Jorge Mas and David Beckham, who just care so much for the city,” Miami mayor Francis Suarez said. Beckham focused on developing the Melreese scheme, following abject past plans to build a stadium on another plot of land, designed by architecture firm Populous. New plans, designed by Miami-based Arquitectonica, has been welcomed, with over 60 per cent of the public voting yes. While the vote does not confirm the park, it marks a major step in the right direction for Beckham who earlier this year confirmed that the team will be named Internacional Club de Fútbol Miami, and signified by a black and pink crest. The deal will now require four out of five votes from city commissioners. 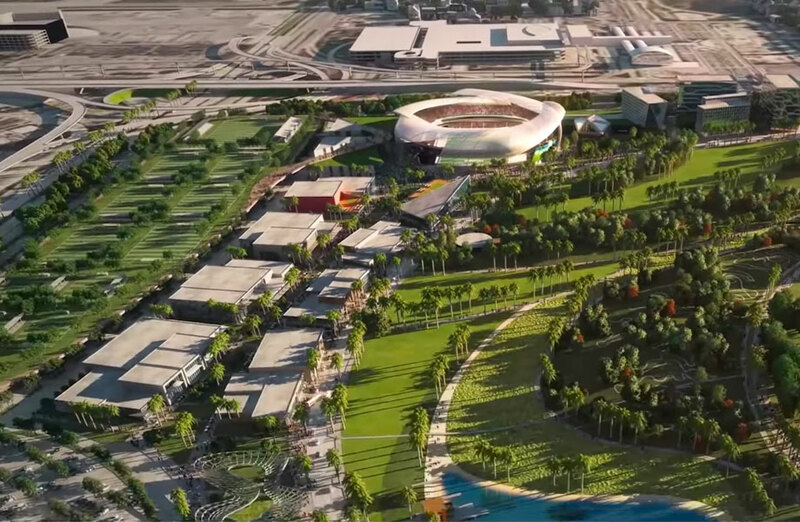 If negotiations with the city are successful, building permits for a stadium are expected to be lodged by November 2019 with Miami Freedom Park and Soccer Village slated to open in time for the 2021 Major League Soccer season.